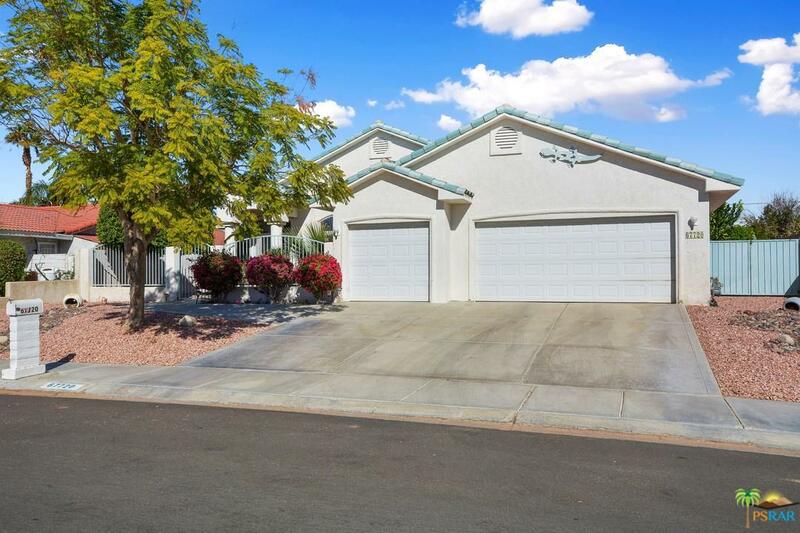 Lovely 3 bedroom 2 bathroom home nestled in Rio Vista Community of Cathedral City. The home features 1728 interior square feet, 3 car garage, high ceilings, and many windows letting lots of natural light in. Enjoy your formal living room adjacent to a formal dining space. The kitchen has light wood cabinets with a kitchen bar and opens to a sizable family room. 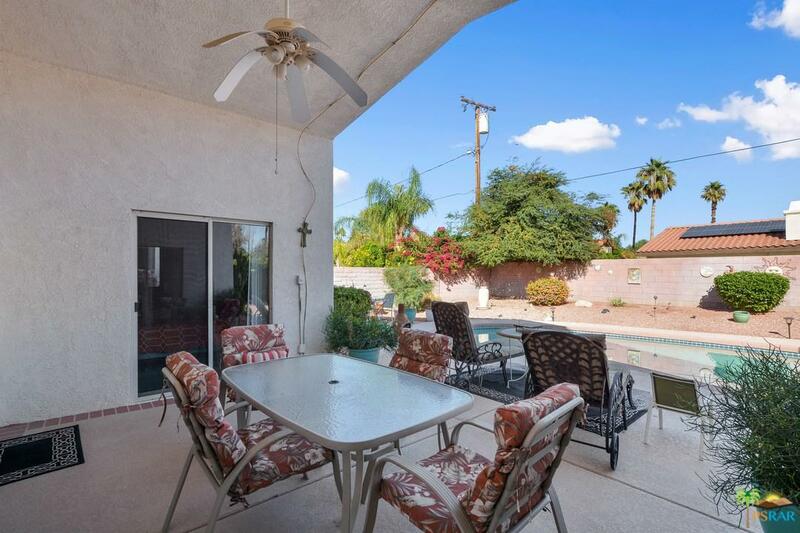 Both the master bedroom and second bedroom have sliding doors that lead to the open patio sitting area. Relish in your sun-drenched pool & spa and majestic mountain views. 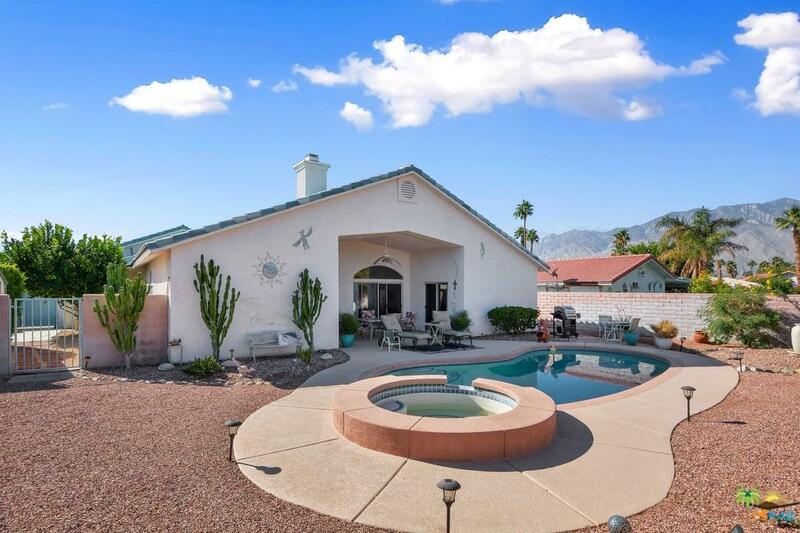 Enjoy the low maintenance desert landscaping which means less work for you. 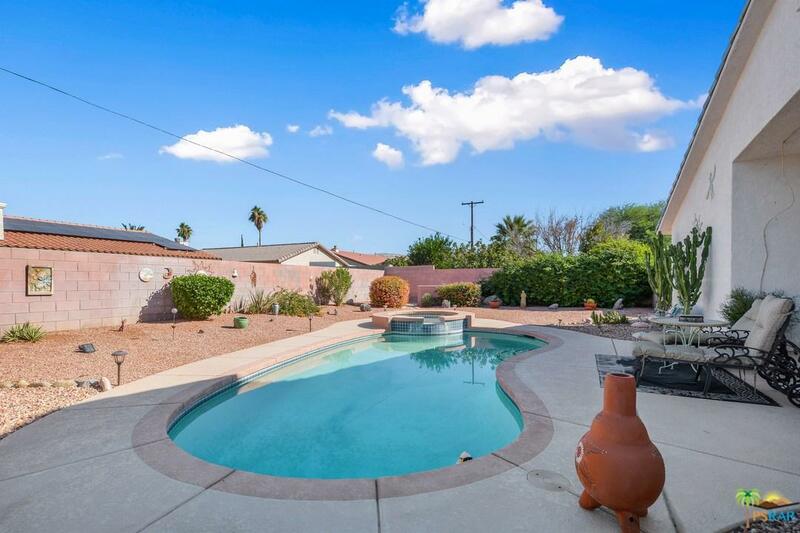 Great neighborhood to raise a family or getaway to your second home. Less than 10 minutes to downtown Palm Springs. Sold by Patricia Rozema BRE#01882273 of California Estates Realty. Listing provided courtesy of Jorge Sanchez And Associates DRE#01882273 of Windermere Homes & Estates and Jorge Sanchez CA DRE# 01958848 of Windermere Homes & Estates.